The envergue sews the sail’s luff to the mast. 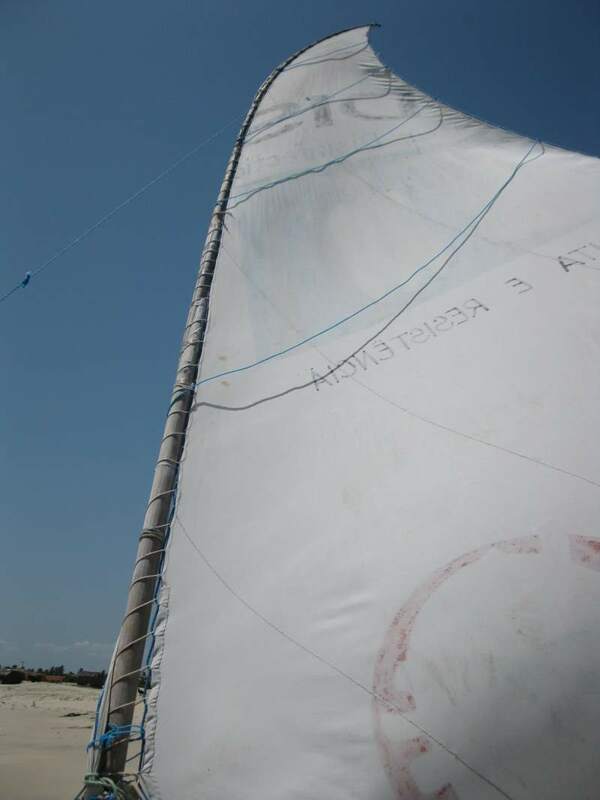 The four diagonal lines going around the top of sail is actually one line – the carregadeira. The carregadeira is used to gather the sail and to reef it when running down wind.